Lured away from home by phony protestants who claimed “heaven” was just a walk away in Cambodia, villagers in a remote central commune have been welcomed back with open arms. Ia Blang commune local Siu Kơk, a member of the so called Tin Lanh De Ga (De Ga Protestant) sect, had several years ago lured gullible people from Roh and Tok villages in Chu Se district, Gia Lai province, to illegally follow him across the Cambodian border to what he said would be heaven on earth. He had told people that it was his responsibility to take people to heaven, where they would need not do anything, but would have everything. Kơk’s friend, Siu Lu, believed the story, so he quietly began encouraging other villagers from the Ja Rai ethnic minority to leave their home and illegally cross the border. He himself left his family and abandoned his stable livelihood as a farmer to make the journey. But after days of hardship on the way to Cambodia, Siu Lu and others abandoned the mission, realizing that such a place did not really exist. Devoured by guilt and shame, Siu Lu fell into a depression and separated himself from all activities in the village through 2004 and 2005. His family became very needy, lacking money and sustenance. Siu Rơi, the patriarch of Roh village, was very angry with Siu Lu for abandoning the village. He said Siu Lu, Siu Kơk, and Rơ Mah Mlung – another follower of Tin Lanh De Ga – had taken advantage of poorly educated peasants to incite them to take the illegal journey and participate in gatherings that cause social disorder. But out of benevolence, and in the village’s tradition of love and solidarity, Roi has welcomed Siu Lu and other misguided people back into the village, providing them with support to rebuild their lives and re-integrate into the community. Also helping those who put their trust in the fake church is Team 351 of the Gia Lai Province Military Headquarters. Team members have coordinated with local authorities to visit families in the commune and help villagers understand morality and the difference between a good and a bad life. The team and local agencies have also helped villagers, including Siu Lu, improve their farming production and income by providing them with new seeds and seedlings. As a result, 297 misguided people from 97 households in Roh and Tok have abandoned the charlatan sect to return to their normal life with the respect and love of the other local villagers. 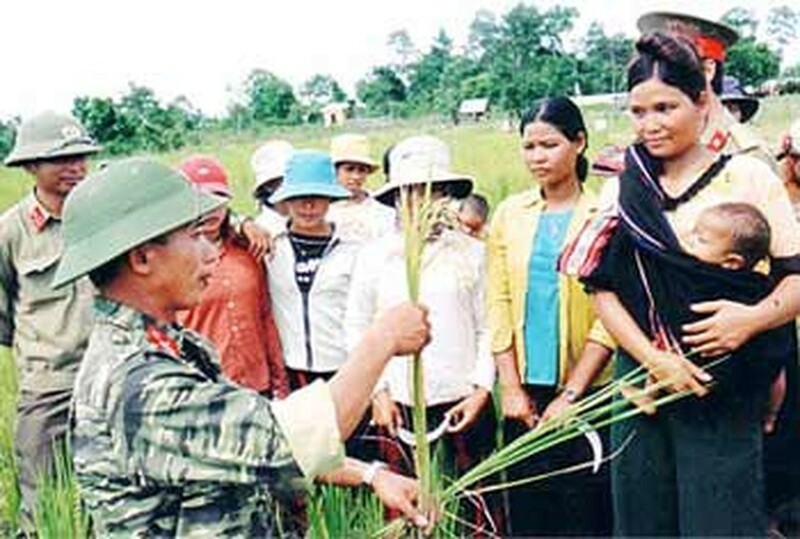 In 2009, the Prime Minister conferred a Certificate of Merit on Ia Blang commune for its outstanding achievements in maintaining political and social stability. In recognition of the outstanding achievements Siu Lu has made recently – he is now a productive farmer with a stable life – the Ia Blang commune Communist Party Committee and People’s Committee have appointed him as head of the commune’s Fatherland Front Committee.